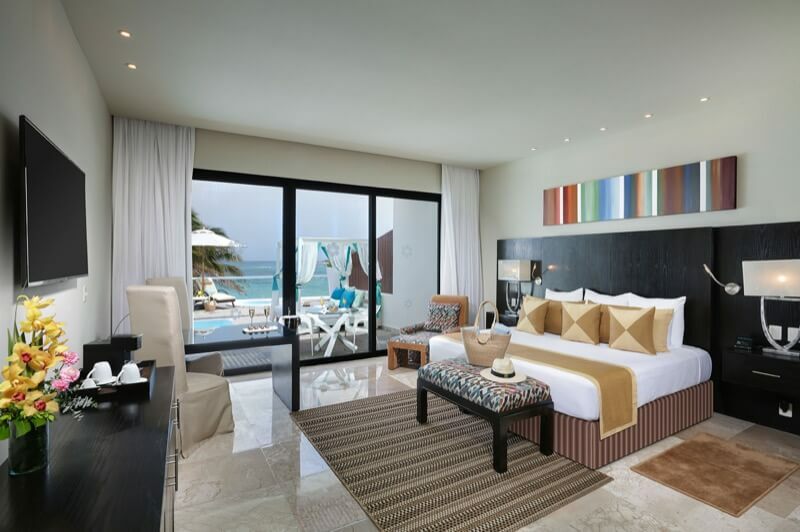 Live a celestial experience in the rooms of The Sian Ka'an at Grand Tulum. With all the amenities you need to have an outstanding vacation, this hotel offers a superior level of luxury and comfort in an adult only environment. 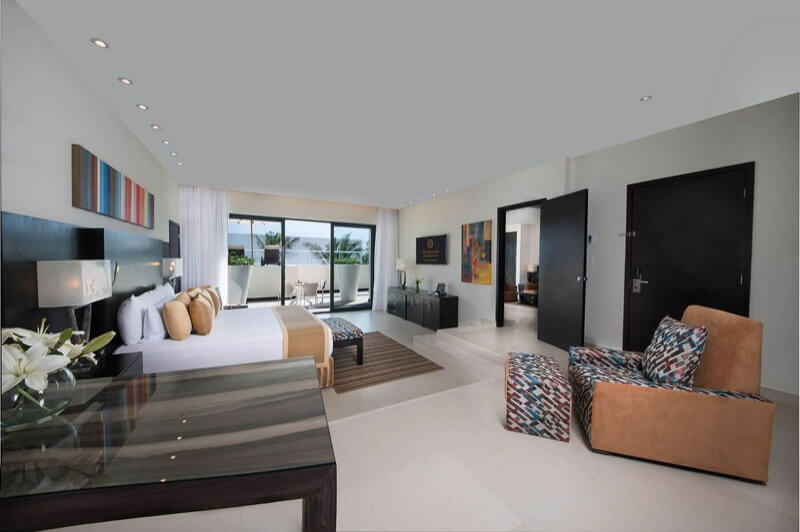 Stay in our rooms, specially designed to make this trip the best one of your life, in a natural paradise located between the green jungle of the Riviera Maya and the turquoise beaches of the Caribbean Sea. 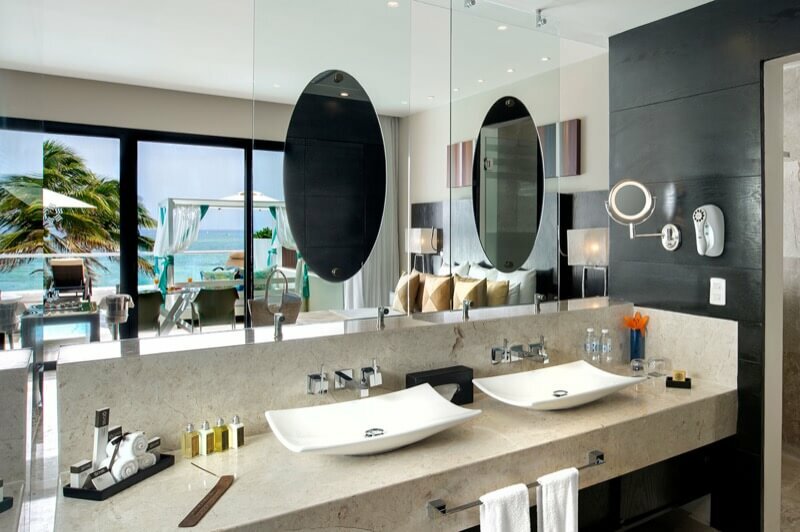 The Presidential Suite has all the luxury to guarantee a relaxing vacation in Tulum with elegance and style. Enjoy your stay in the best of comfort and outstanding amenities, such as: a completely private swimming pool or Jacuzzi located at the terrace with panoramic views to the Caribbean Sea, a living room, dining room and a separate bedroom with comfortable and soft beds, and a pillow menu that ensures a good night sleep. 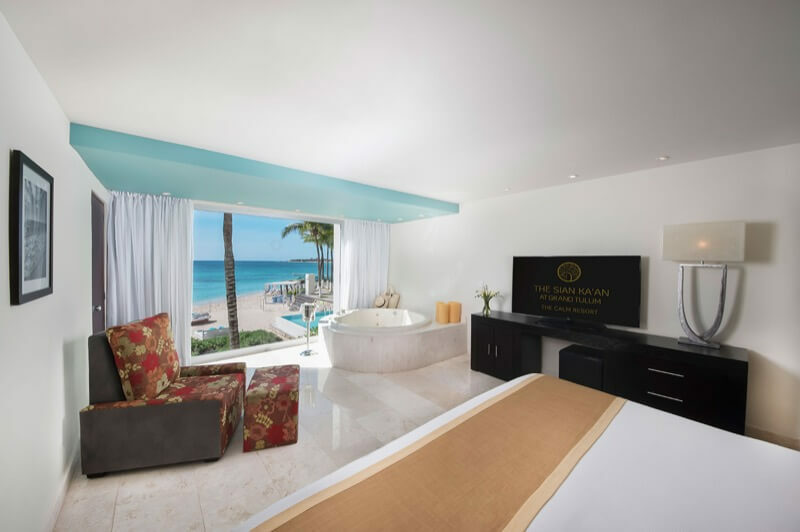 Experience luxury by staying at the Presidential Suite of this all-inclusive paradise and make the most of your Tulum vacation. 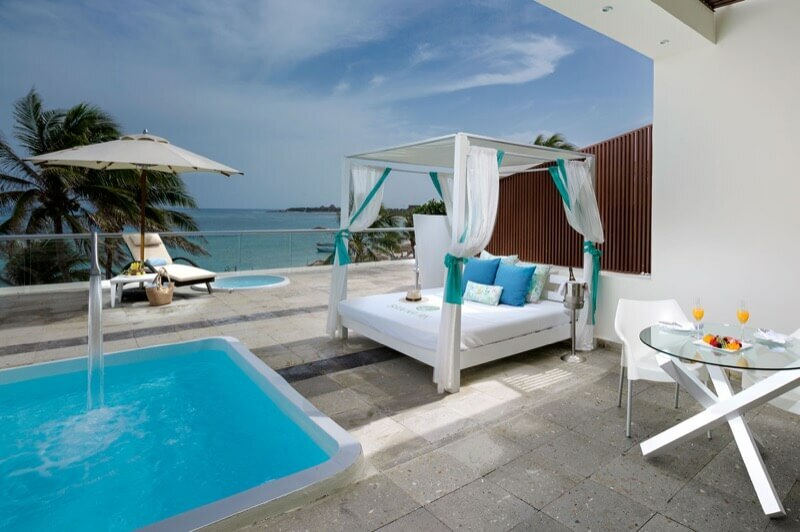 Suites with terrace and private pool. 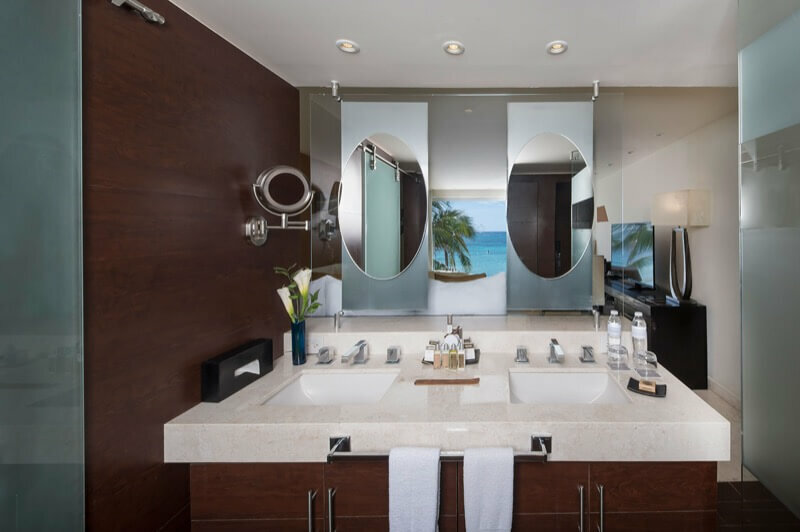 Suites and rooms with private whirlpool. Spectacular views of the Caribbean Sea. Sensoria (Champagne lounge & terrace). 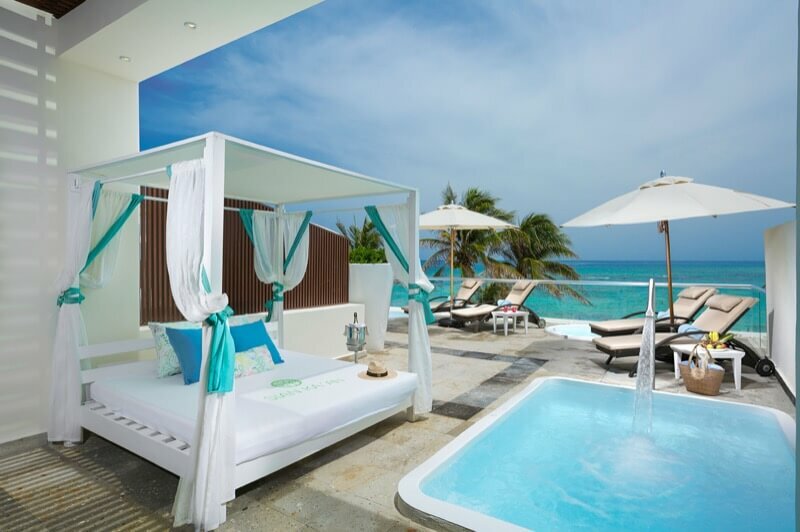 The Sian Ka'an Beach Club (Bali beds with available Concierge service). Tennis courts (witch racket & balls ). Convention room & Business center. King size bed or two double beds. Bath amenities and beach towels. WIFI (2 devices per room). Ipod console & radio alarm clock. 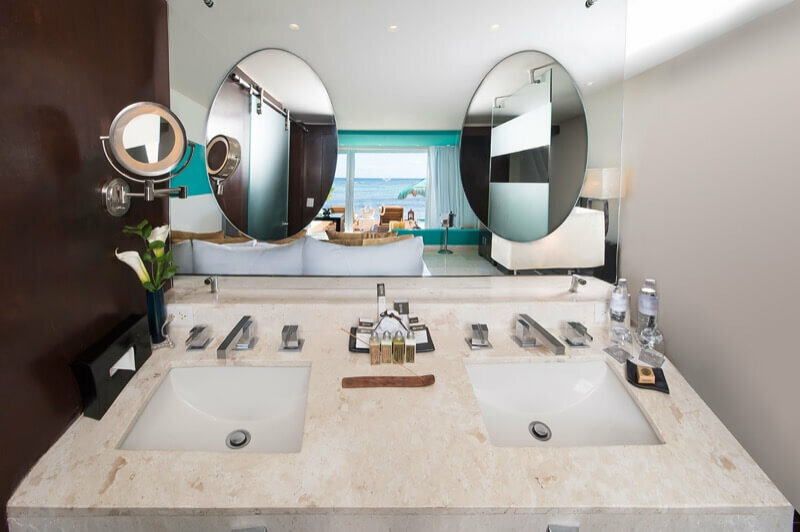 Feel the true natural luxury of The Sian Ka'an and stay at our Master Suite, which offers spectacular views of the Caribbean Sea and all kind of commodities that will make this trip a luxurious and relaxing experience. Enjoy all of the amenities available, such as a living room with a kitchenette, and in-room Jacuzzi, and comfortable big beds with a pillow menu that will ensure the best night sleep in this all-inclusive hotel. 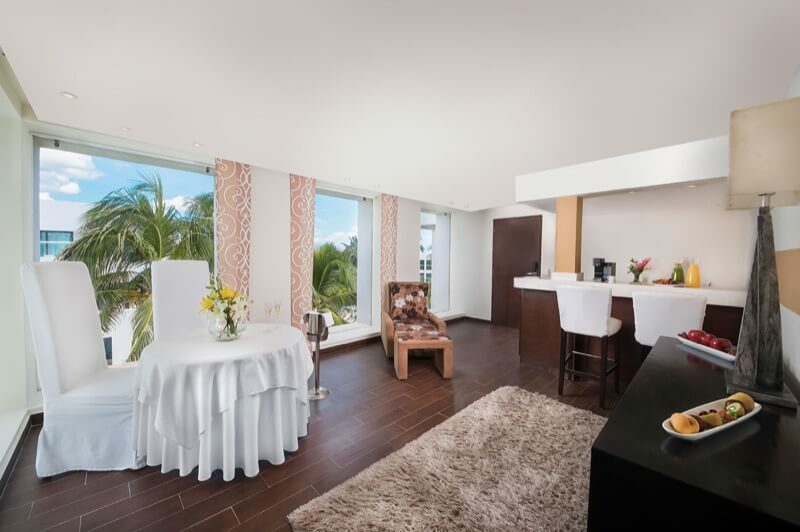 Enjoy a spacious open concept in our Junior Suites. 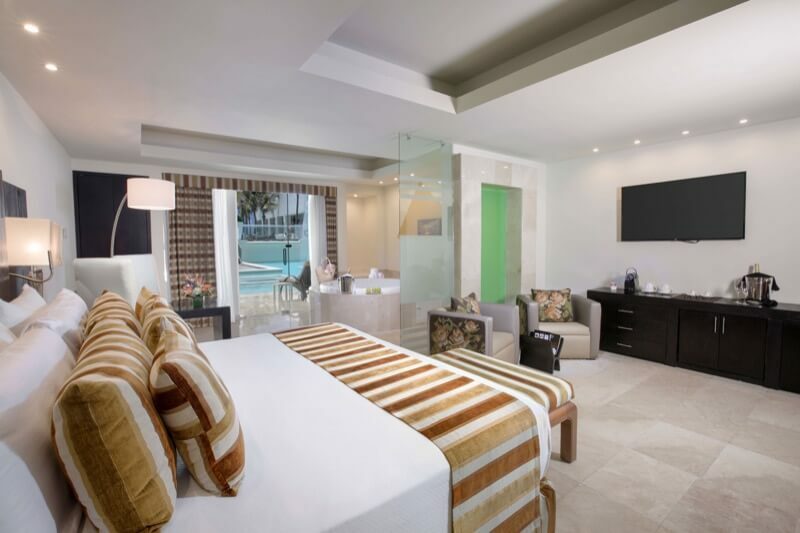 With all the comfort and luxury that you are looking for in your Tulum vacations, our rooms will exceed your expectations. Pamper yourself with all the amenities that these rooms have for you, such as a private terrace with Jacuzzi or swimming pool, air conditioning and comfortable soft beds that will make your stay with us an unforgettable experience. These rooms offer a cozy and luxurious environment that makes them the best place to rest after a long day enjoying our hotel and its surroundings. 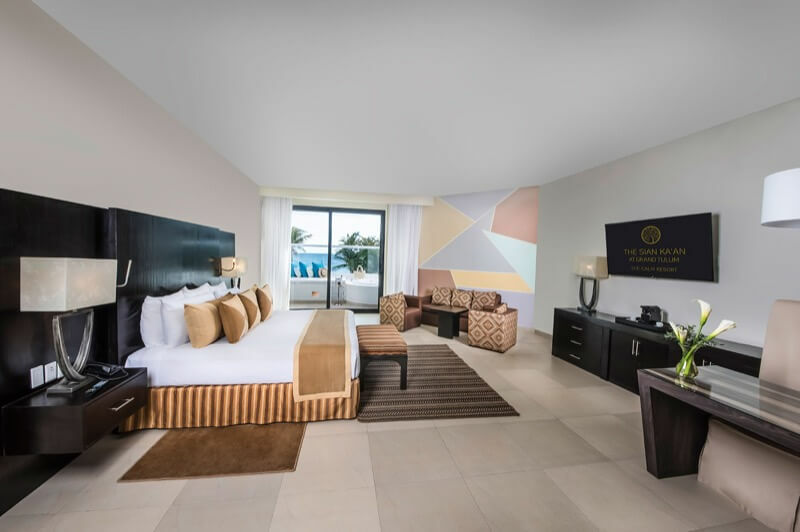 Delight yourself with premium amenities, panoramic views of the Caribbean Sea, air conditioning, an in-room Jacuzzi, and beds that are perfect for a good night sleep. 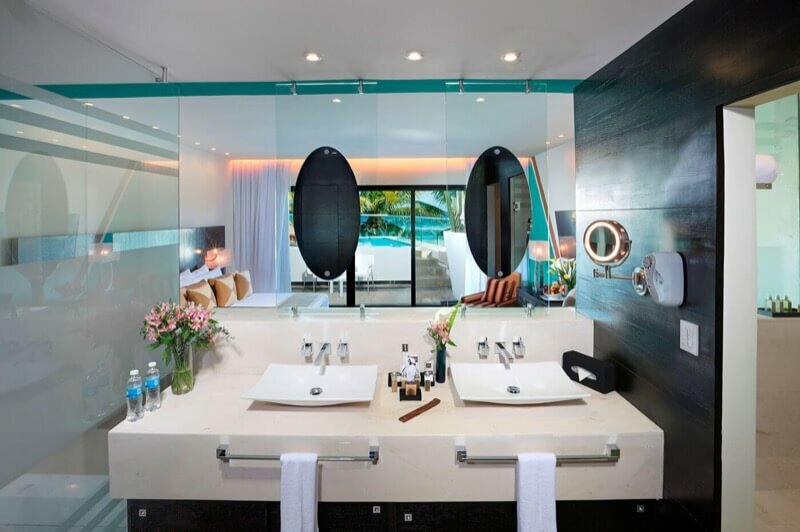 Enjoy yourself during your stay in The Sian Ka'an at Grand Tulum and take full advantage of this all-inclusive hotel. Our Ocean View rooms will make you find the peace of mind you were looking for during your Tulum vacation. 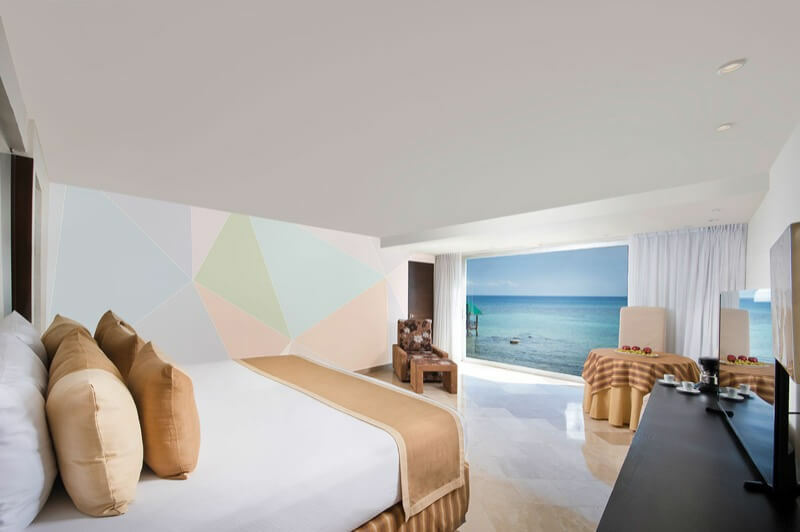 In its harmonic and luxurious environment, enjoy the views of the Caribbean Sea, comfortable beds and all the amenities that will take your experience to the next level. 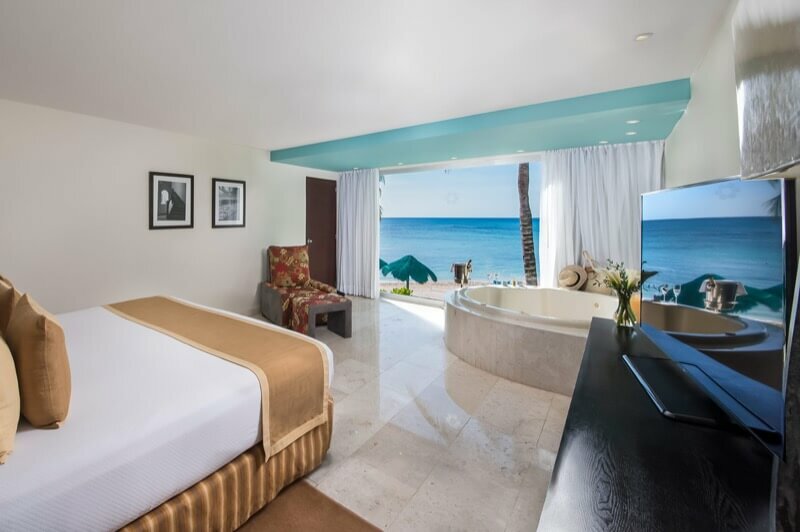 Live the moment and pamper yourself in the rooms of this all-inclusive resort. 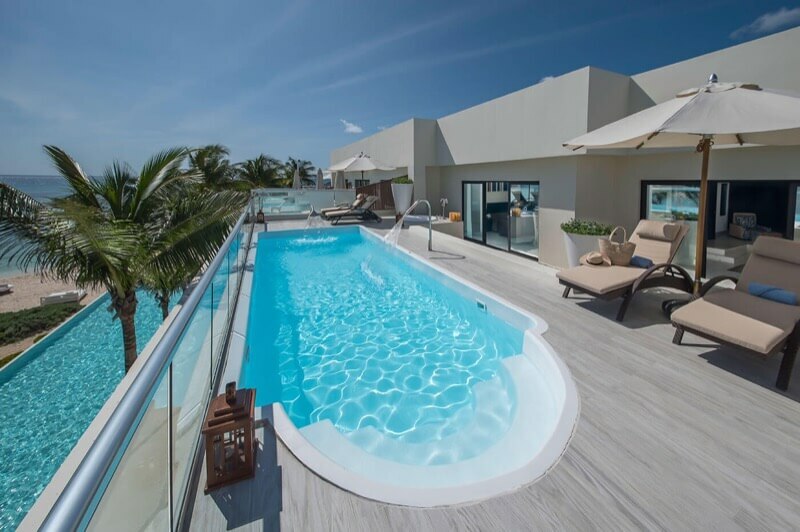 The Pool View rooms that this all-inclusive resort has to offer will take your trip to Tulum to the next level. 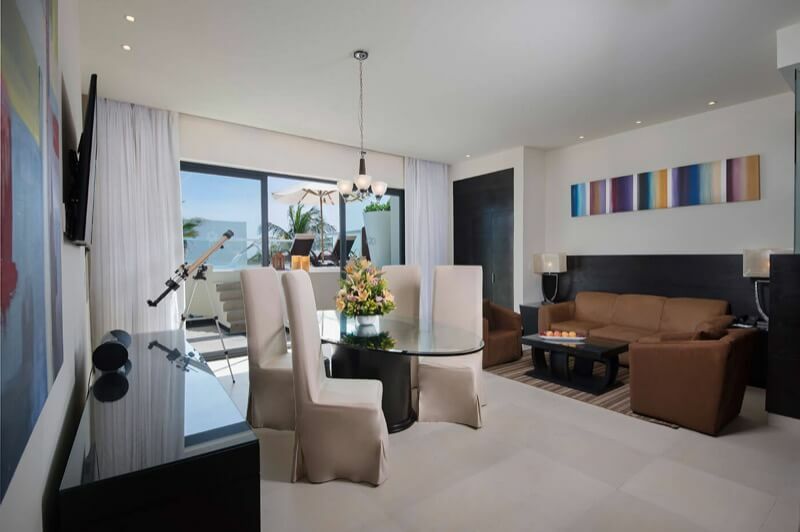 With all the luxury that you need to make this an unforgettable stay, our rooms make for a harmonious and relaxing environment perfect to cool off after a long day at the beach or swimming pools. Enjoy the view from the huge windows, which let the natural light in, the comfortable and big beds, as well as all the amenities that you may need during your trip. Treat yourself and seize this great opportunity.